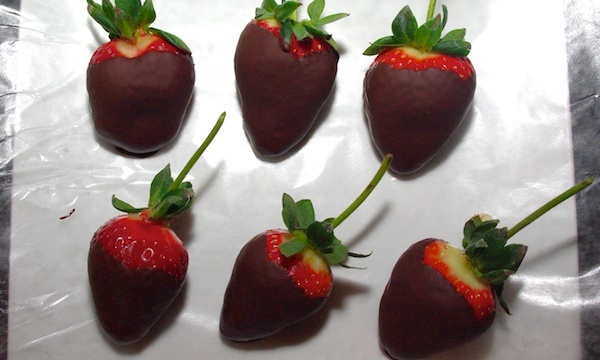 Scrambling to put together a sweet treat for Valentine’s Day? Well, even if you’re not, dark chocolate covered strawberries are a relatively guilt-free little indulgence for any special occasion (or dinner party!). They couldn’t be simpler to make – I hesitate to even call it a “recipe.” 🙂 Hope you like ’em! 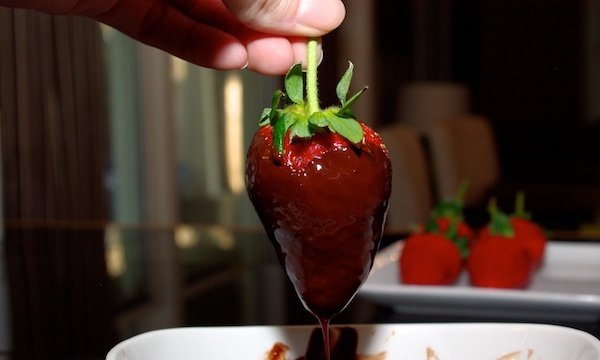 Rinse and thoroughly pat dry all your strawberries… set aside. 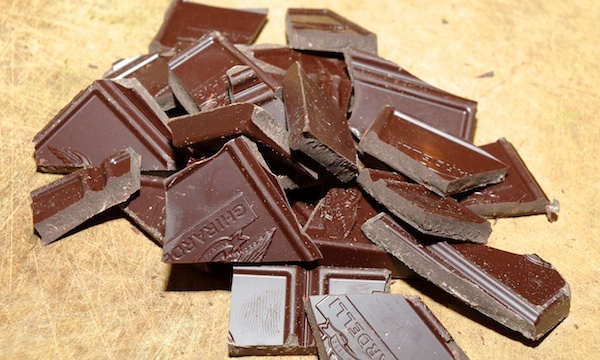 Next, break the dark chocolate bar up into small chunks and place them in a small bowl. 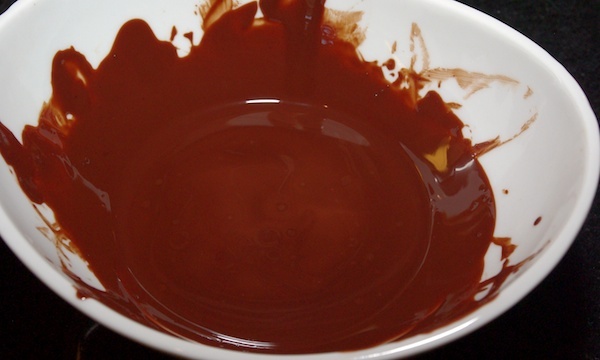 Time to melt the chocolate! Feel free to use a double boiler if you like, but I prefer microwaving for 30 seconds at a time, stirring between each burst. Microwave until just melted, being careful not to scorch. 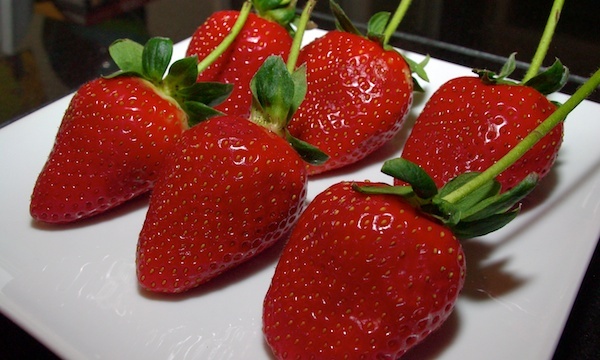 When it’s good and melty, just dip each strawberry and lay out on a piece of wax paper (on a plate). When you’ve dipped ’em all, just place in the fridge to set! Refrigerate until you’re ready to serve and enjoy! Happy munching! ← Lotsa love around here! New favorite. Like straight up Mexican Cocoa. Hi Paleo Betty! Thanks so much for all of your amazing recipes! 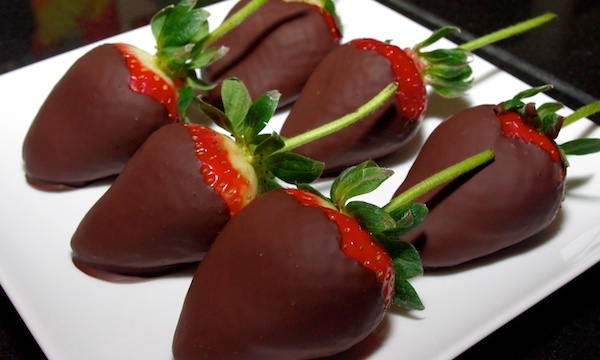 I made the chocolate covered strawberries last night! Delicious! Your blog is such a great resource!!! Thanks so much! 🙂 I’m so glad you’re liking the recipes!